My favorite dress is Yellow. 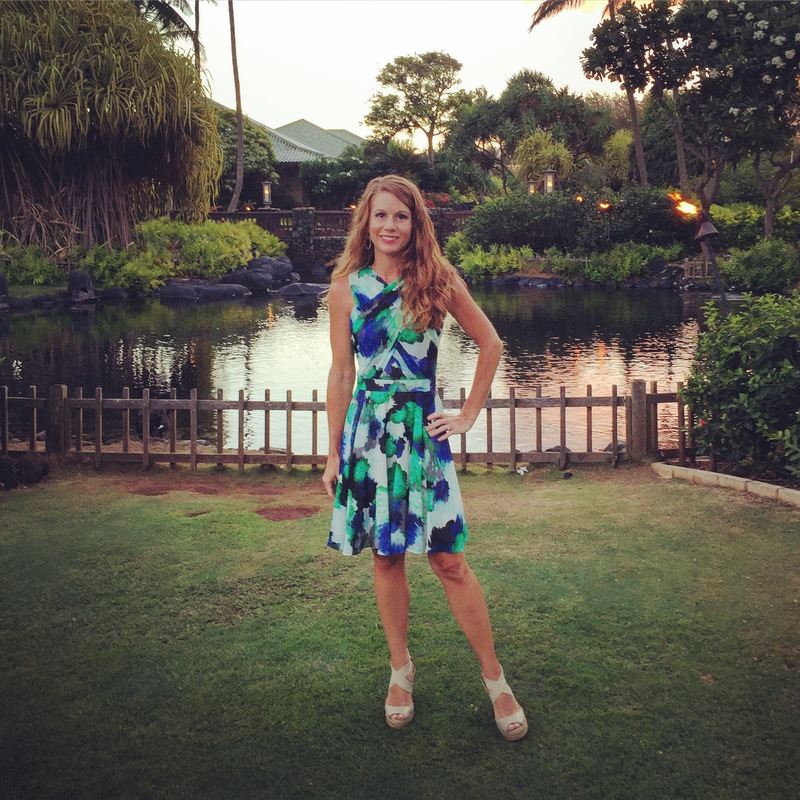 My favorite song of all time is…. You guessed it Yellow by Coldplay. 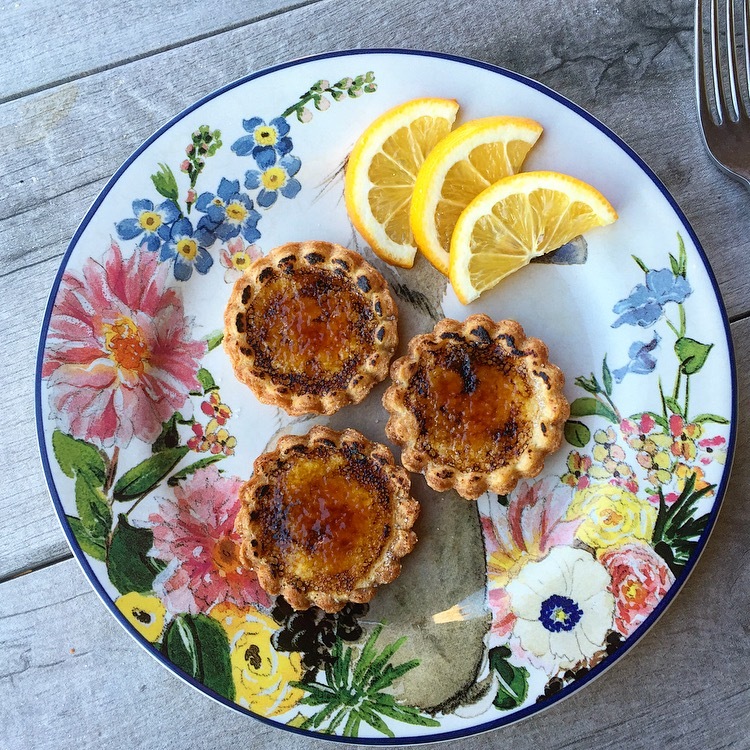 Spring time always leaves me thinking of Lemon flavored deserts and with Easter coming up this weekend I can’t think of a better time to share with you these delicious Brûlée Meyer Lemon Tartlets. 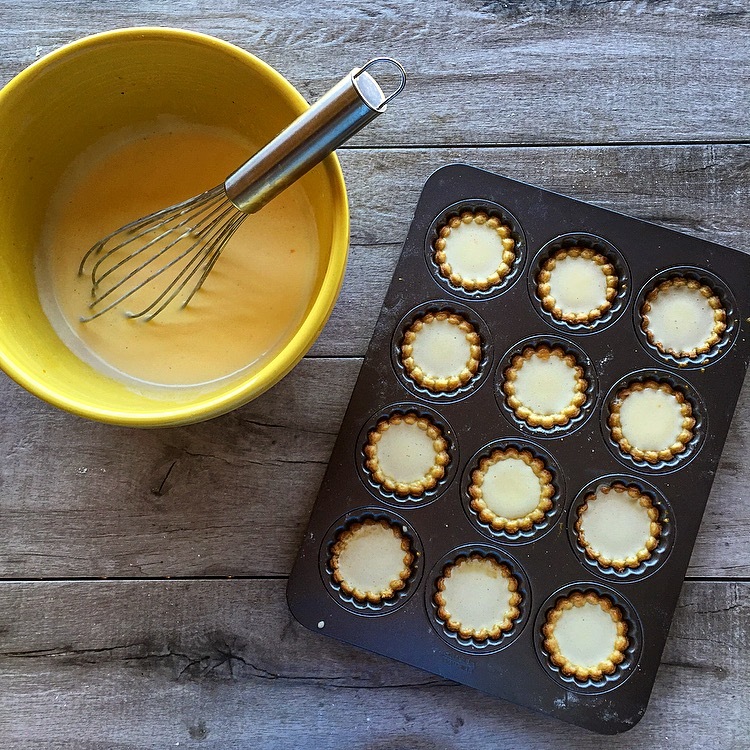 What do these little Brûlée Meyer Lemon Tartlets taste like? 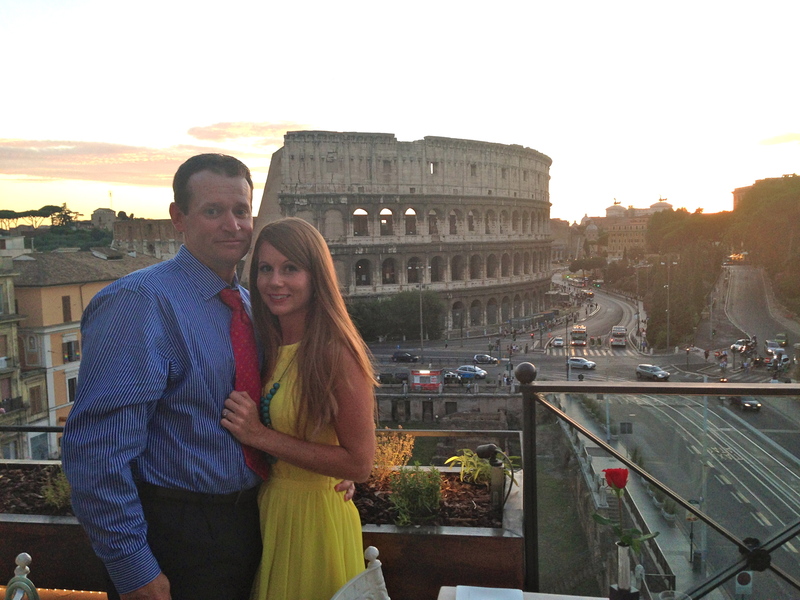 One word… Sunshine. 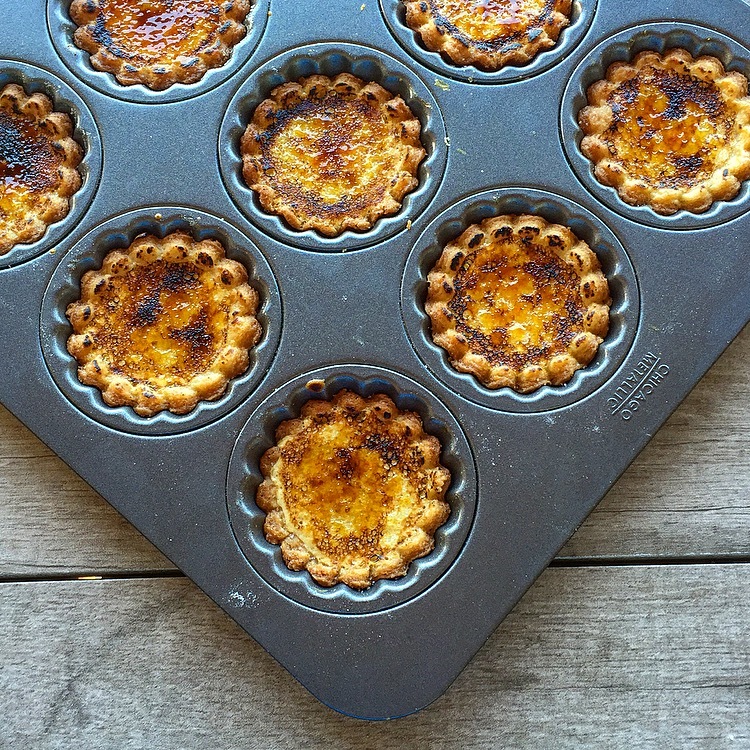 These little tartlets will truly awake your senses. 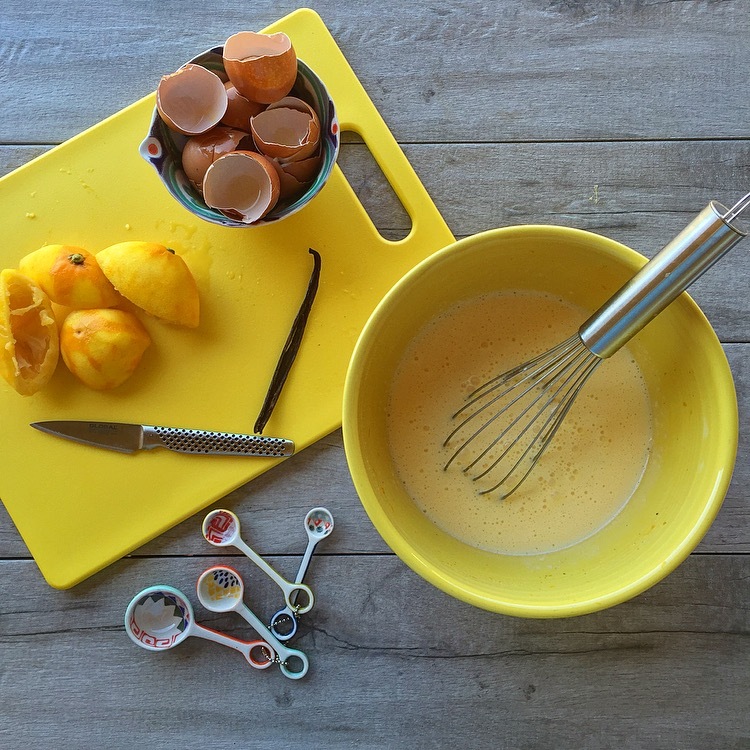 The smell of a buttery shortbread baking in the oven, the sound your spoon makes as it cracks through the brûlée sugar crust, the sweet and tangy, vibrant Yellow Meyer Lemon custard…. 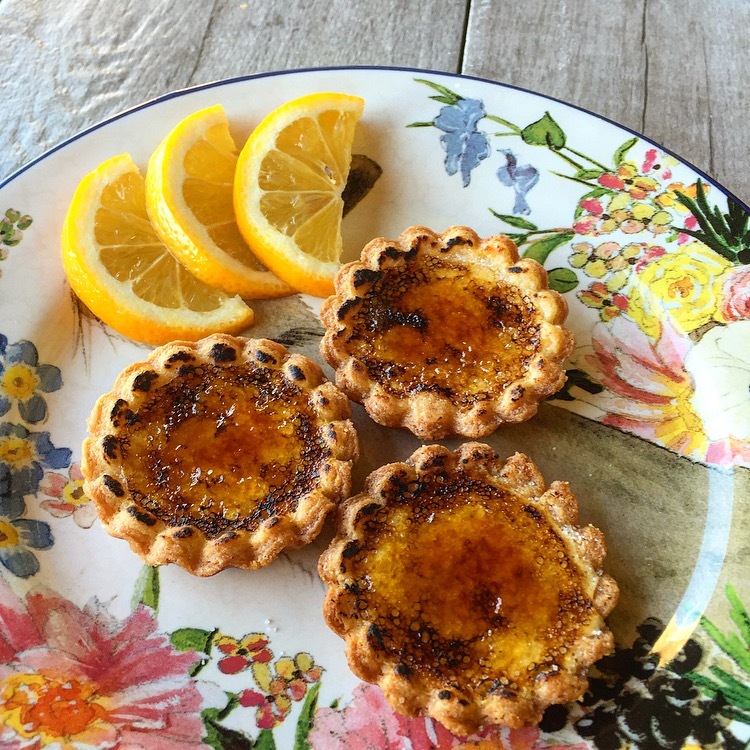 Yep these little tarts have it all making them the perfect desert to welcome in Spring. 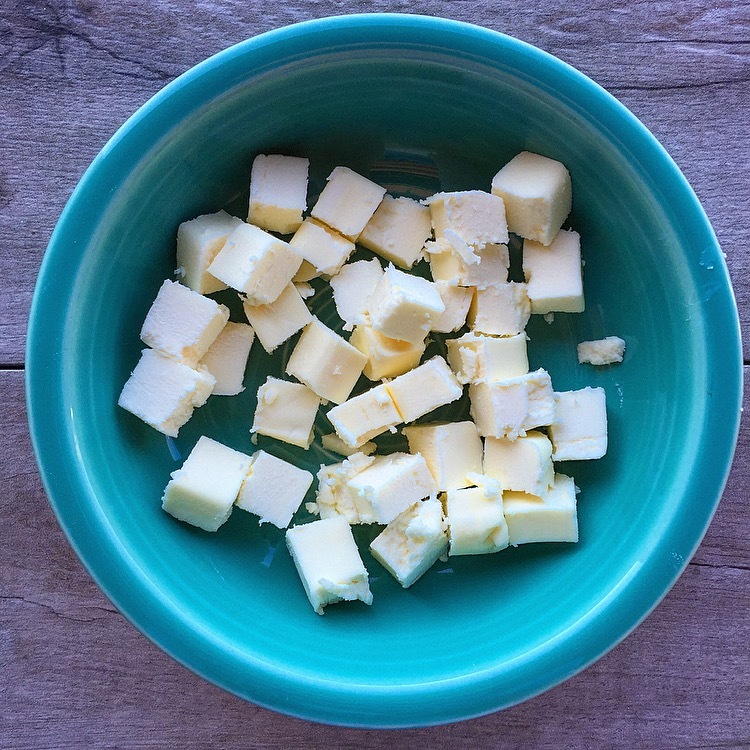 Dice 8 tablespoons of unsalted butter, and place in the freezer while prepping the dry ingredients. 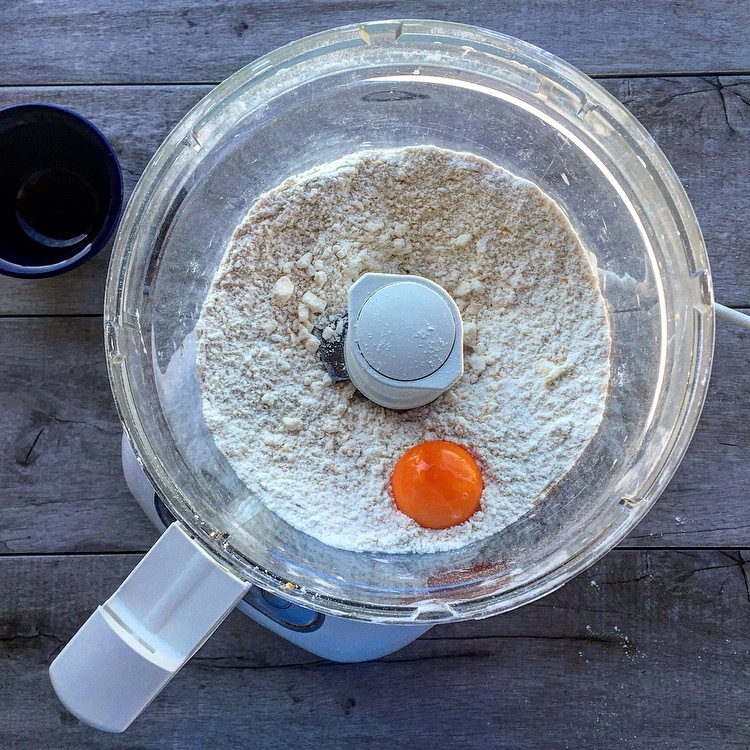 Add the flour, sugar, Meyer lemon zest, orange zest, salt and half the seeds from the vanilla bean to the bowl of a food processor. 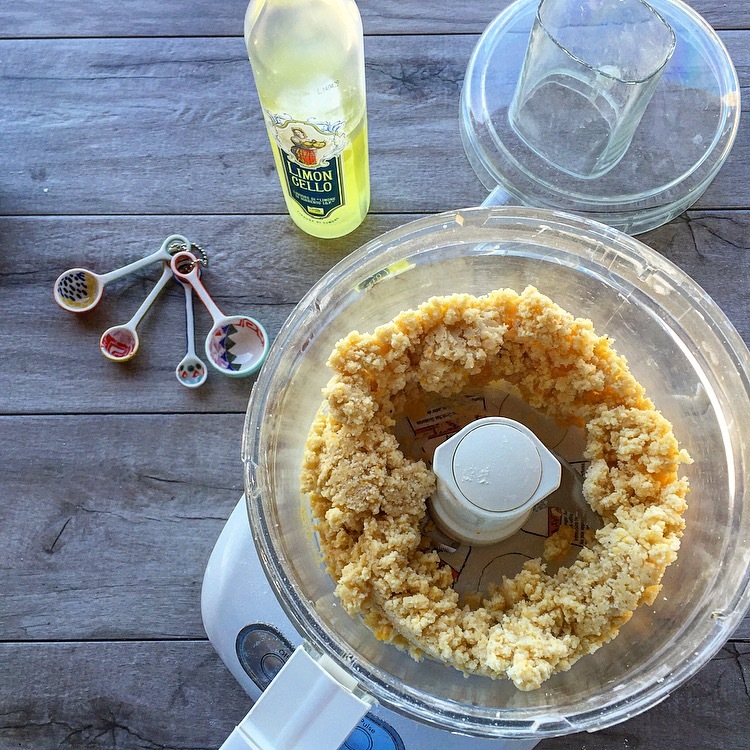 Next, add the very cold, diced, 8 tablespoons of butter to the food processor. Pulse about 8 times until the mixture looks like wet sand. 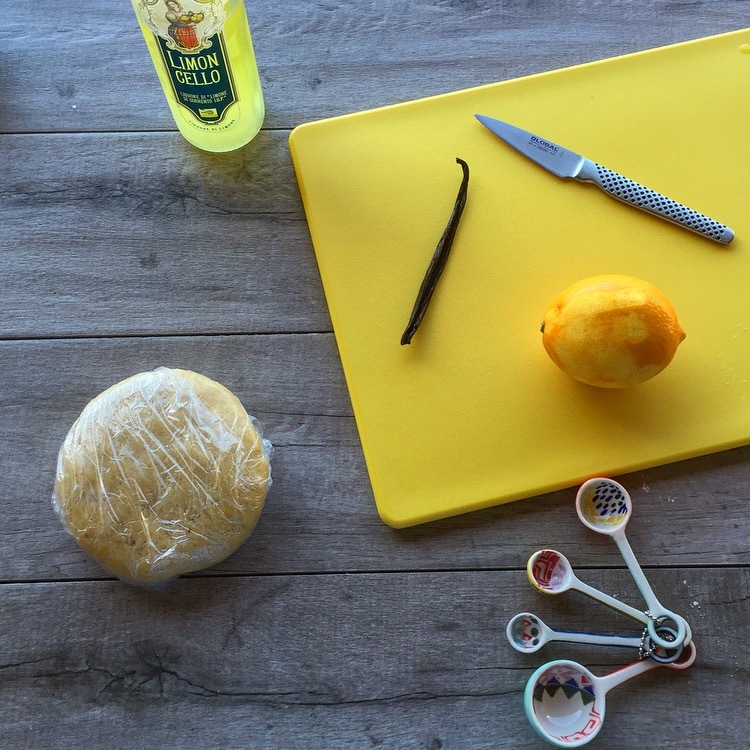 Add in the egg yolk and 1-1/2 Tablespoons Limoncello (or ice water). 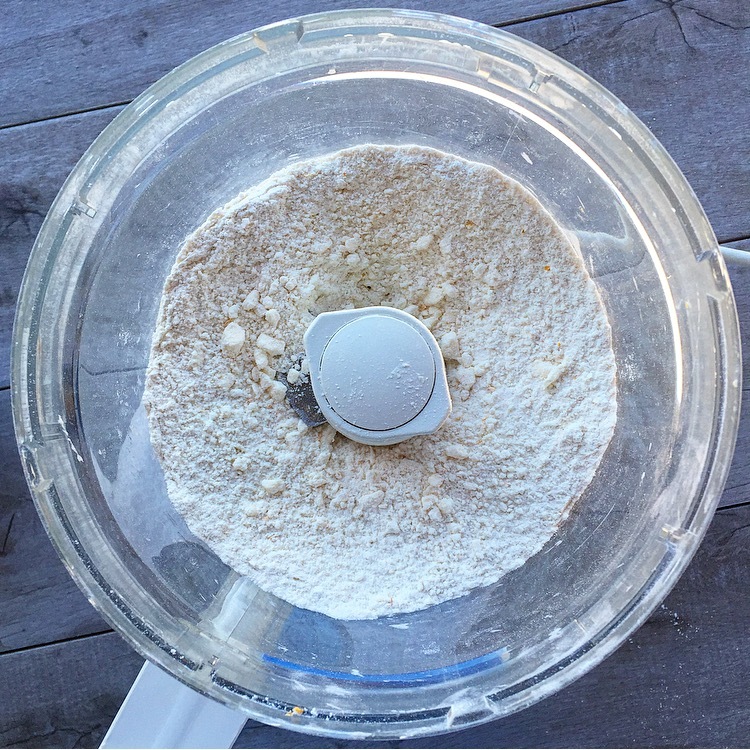 Dump the dough out and shape into a disk. Wrap in plastic wrap and chill for at least 30 minutes. 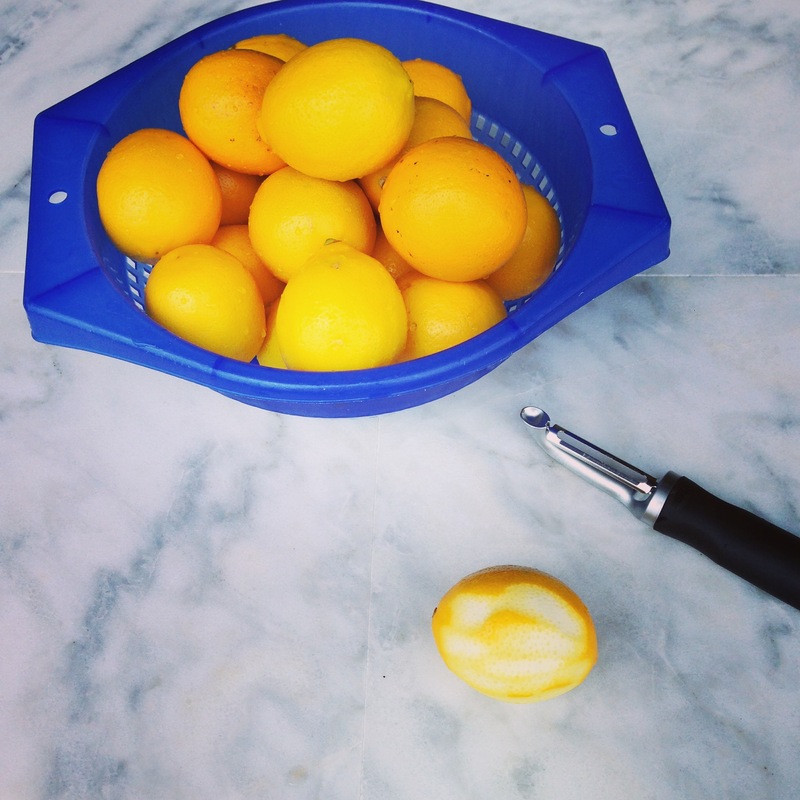 In a large bowl whisk together the sugar, vanilla bean, lemon juice, lemon zest, cream, salt and eggs. 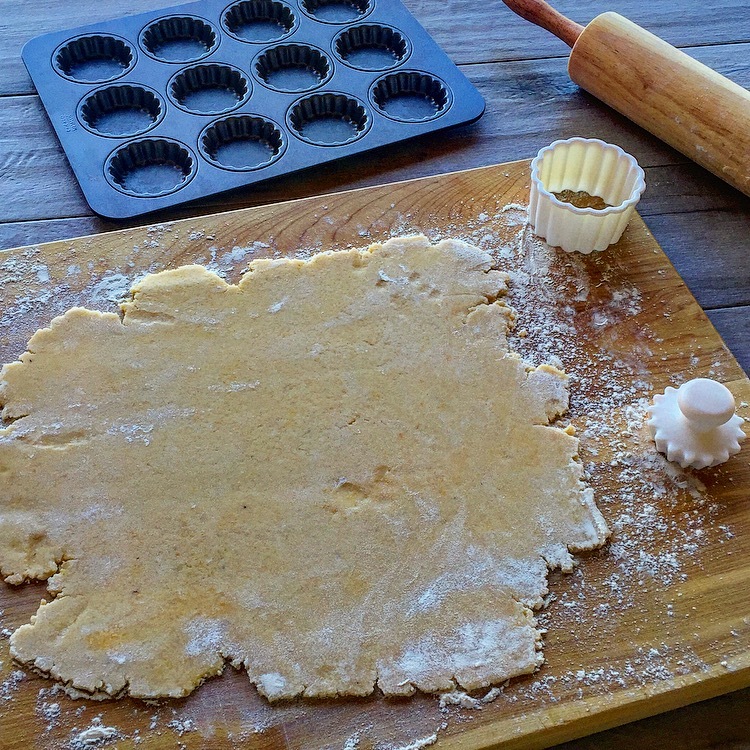 After the filling has been mixed up roll out the chilled shortbread dough on a lightly floured surface. 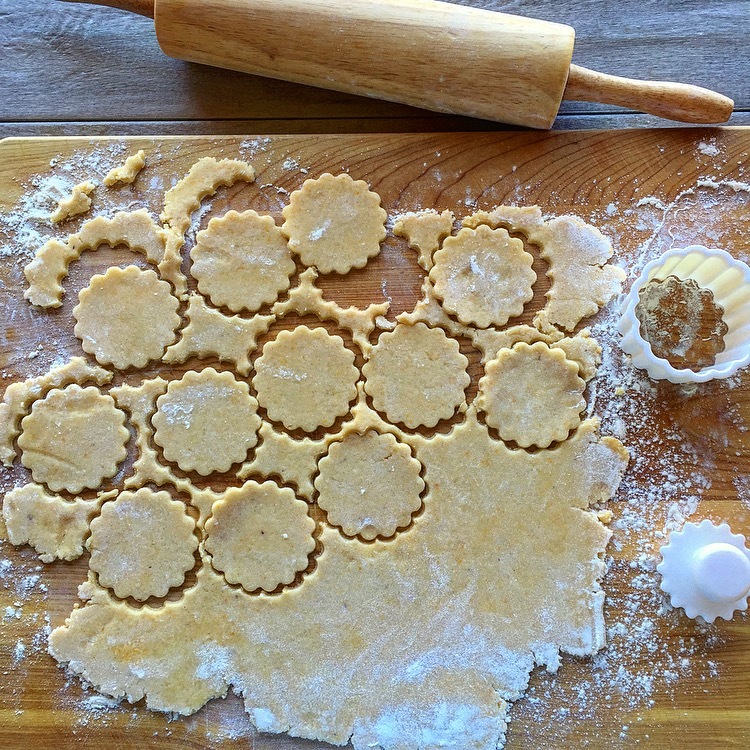 Then cut the dough into desired sizes… Mini Tartlets, individual tartlets, or 1 large tart. 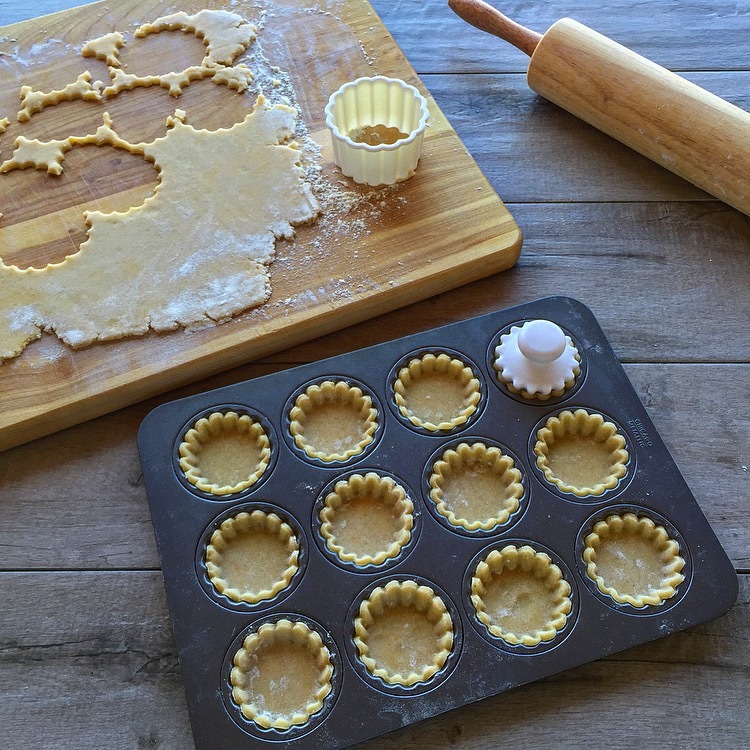 Today I’m making mini tartlets that came with a cookie cutter for the crust and a fluted tamper. Prick the crust with a fork and bake-off at 400 degrees for 10 minutes or until the edges just turn slightly golden brown. Once the shell has baked reduce the oven temperature to 300 degrees. Note: for an individual sized tart prick with a fork and blind bake for about 12 minutes then remove foil/parchment paper and weights. Bake for another 3 minutes. For a large tart prick with a fork and blind bake for 15 minutes then remove foil/parchment and weights. Bake for another 3 minutes. Allow the tart shell to cool for a couple of minutes then brush the shells with the reserved egg white (mixed with just a splash of water) and fill with about 1 Tablespoon of the Meyer Lemon filling per shell. 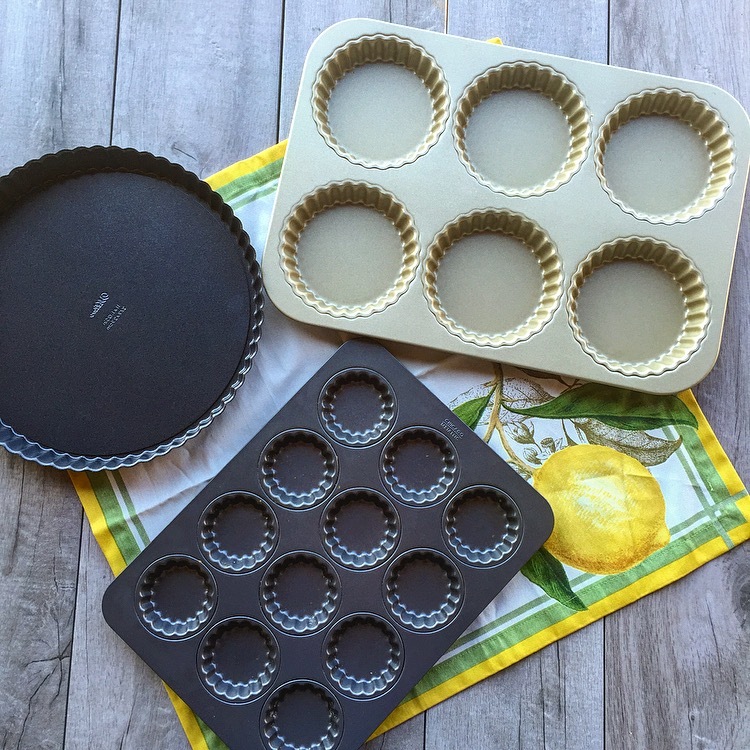 Bake these mini tartlets at 300 degrees for 8-10 minutes until set. Note : For an individual sized tart shell use about 1/4 cup of filling per shell and bake at 300 degrees for 12-15 minutes. For 1 large tart use all the filling and bake at 300 degrees for 20-22 minutes. Allow the tartlets to cool completely. 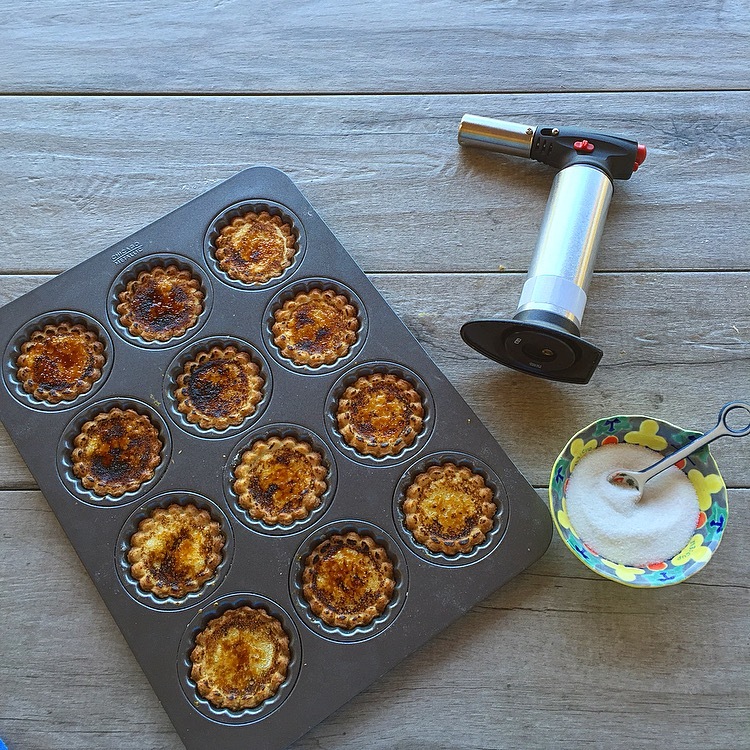 The just before serving top each tartlet with 1/8 – 1/4 teaspoon of sugar then grab your blowtorch because it’s time to Brûlée!!! Brûlée until the sugar is golden and caramelized. Allow to sugar to harden (5 minutes) before serving. I also made some individual sized tarts too just so you could see the size. So very cute! I am not a baker but may be convinced to try these. Yummmm. I’m not much of a baker either but I can do things like pie crust and this shortbread. 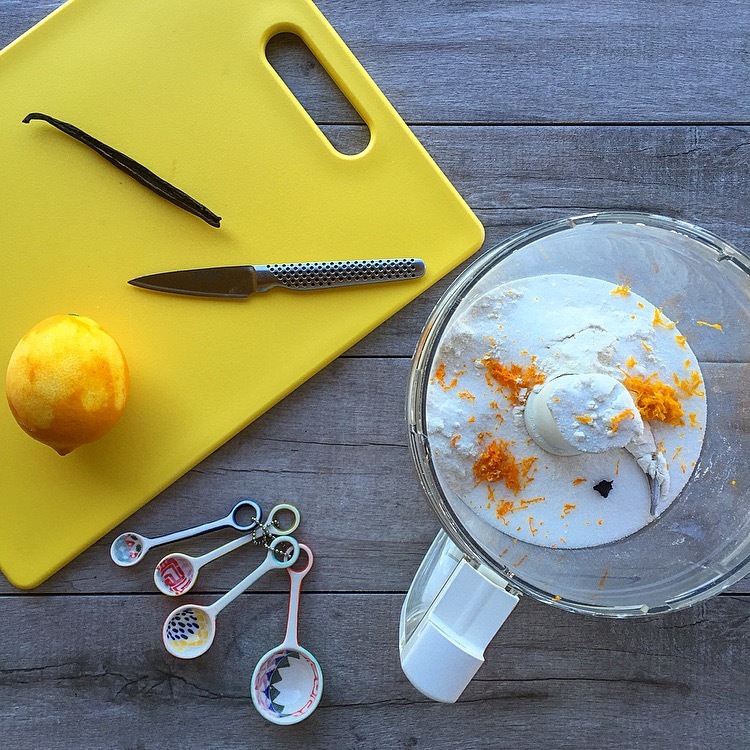 These look utterly delicious Mel! I love all the yellow stuff too. 🙂 Happy Spring! Melody– my mouth was watering by the time I scrolled all the way down to the bottom of the post! I’ve never seem citrus creme brûlée! genius! And I love the idea of citrus in the crust. These really do look beautiful. I’m storing this one away for the next time I’m invited for a tea party! thanks! 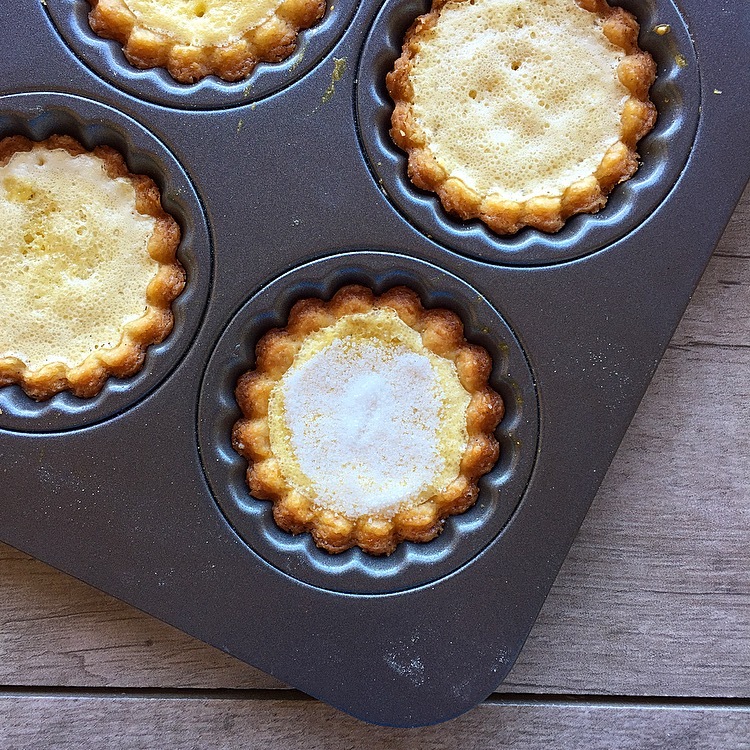 They are the best of both worlds….lemon tart meet creme brûlée. Plus you get to use the blowtorch which is always fun. I agree lemon tarts are the best 🙂 and I’m always looking for something new to brûlée because it’s just fun!! I love yellow, too. It just brighten up any day.